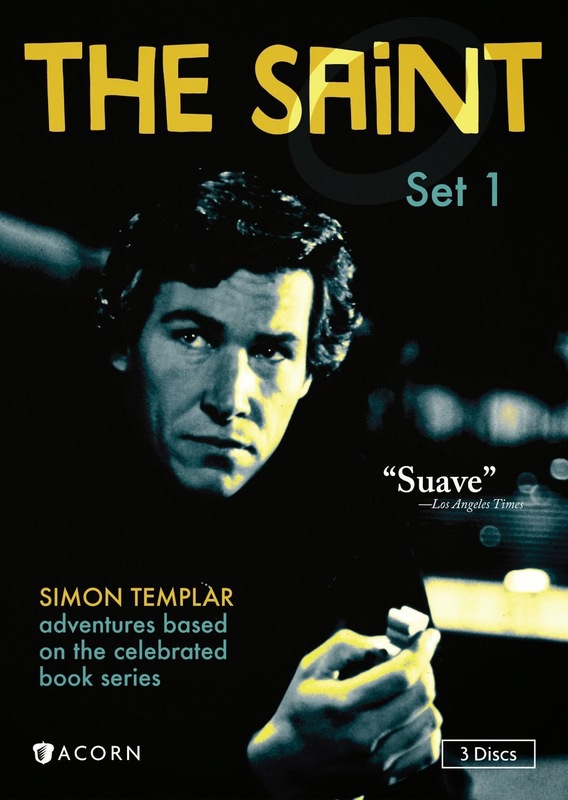 Suave Simon Templar, known as "The Saint," plays by his own set of rules in The Saint. He moves among criminals and the police (well, some of the police!) with equal ease. In this set featuring 3 mysteries, we get to watch Simon Dutton portray the popular character made famous in the works of Leslie Charteris. Simon earns his living by making sure rich criminals don't get away with their schemes. In The Brazilian Connection, Simon is brought into the shadowy world of international adoptions when he happens to witness the abduction of a baby on a busy London street. He sees the culprits get into a van with a distinctive logo on the side. While the company involved would appear to be dealing only with importing art objects from South America, Simon becomes convinced there's more to the business when the company director flees and is hit by a train. Seems like a pretty drastic outcome to avoid answering a few questions! A wealthy charity maven attempts to get Simon involved in her causes, mainly the Adoptive Parents Association, but he suspects the organization is not as benevolent as it appears. He finally manages to trace the missing baby, which leads to a chase involving an ambulance, speed boats, and the Thames barrier. The second episode, The Blue Dulac, takes place in Paris. Simon's friends, Jacques and Christine Coustard, return home one day to find their apartment has been ransacked and their safe is empty. Just as they are getting ready to call Simon for help, there is an explosion and they are killed. Simon comes to Paris to investigate, although he has a pretty good idea of who is behind the deed. 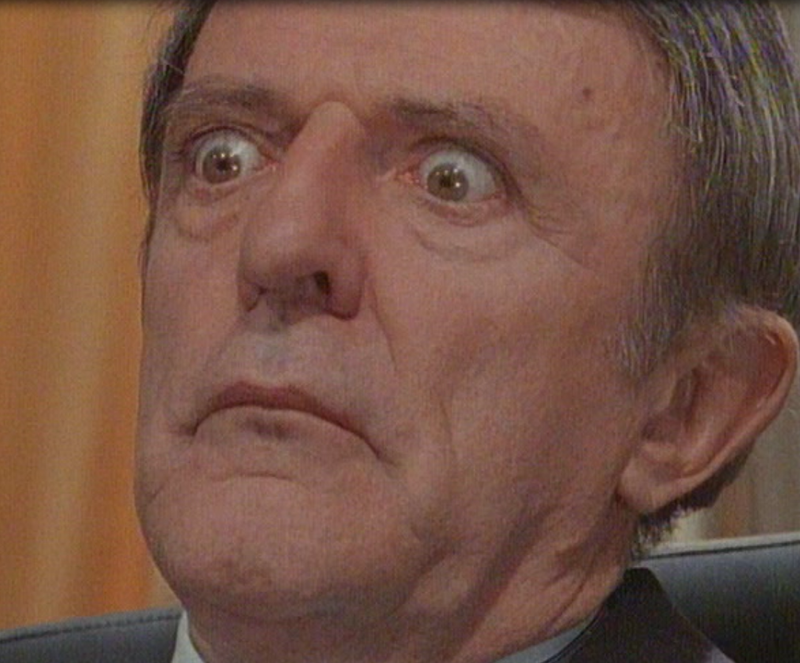 The American George Lafosse (played by an appropriately googly-eyed John Astin) has been getting away with extortion and murder for years. 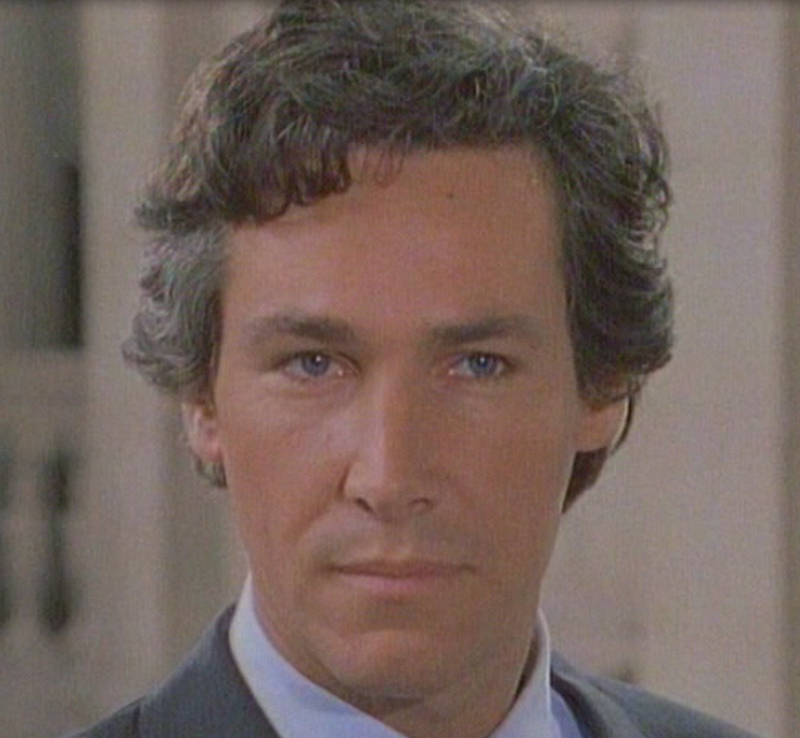 Simon begins following him, and shortly thereafter foils an attempt on Lafosse's life by a beautiful young woman. The young woman, Sabine Gautier, explains that Lafosse is responsible for her father's death, and she wants revenge. This provides an opportunity for Simon to kill many birds with one stone: bringing Lafosse to justice, spending time with a beautiful woman, and arranging a jewel heist that will ultimately benefit him financially. He's helped in this mission by the fact that Sabine has a twin sister, Seraphine. There follows a somewhat complicated plan whereby Sabine gets a job as a maid in the house of the eccentric jewel collector Unwin, who happens to be in possession of the infamous Blue Dulac necklace, which was stolen 10 years ago. Simon has a craftsman friend of his create a convincing fake of the necklace, and so it's a matter of coming up with a plan to get Sabine to substitute the fake necklace for the real one. In the meantime, Simon has approached Lafosse and made a deal to sell him the stolen Blue Dulac for£5 million. Of course, Lafosse has no intention of keeping his part of the bargain, and he still hasn't forgiven Sabine for trying to kill him . . .
to Mr. Chan, he doesn't take intend to have his plans spoiled so easily. Simon, meanwhile, is still looking for the missing Chinese girl, when the daughter of his friend turns up safe and sound. When Simon overhears Aileen on the phone agreeing to send Justin to the park, he decides to follow to see what's happening. There follows a wild chase through Sydney, over bridges, monorail tracks, and up on top of a glass atrium. The police shouting over and over, "Come down off the atrium! I won't tell you again!" 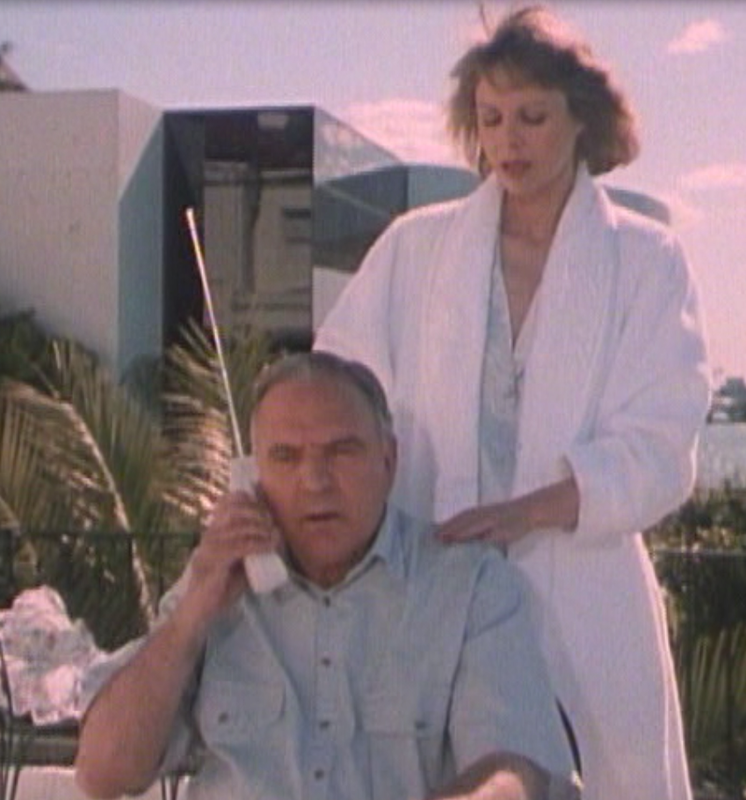 is one of the funniest parts of the whole series (although the early cordless phone with a massive antenna has to run a close second!). The Saint!" His fame obviously proceeded him! In the first two episodes, he definitely had a financial interest in the outcome of the cases he was investigating, but I didn't see any monetary gain for him in the final one. I enjoyed the exotic locations and the suave manner of Simon Templar and hope to see more of his adventures in the future! Disclaimer: I received a copy of The Saint from Acorn Media in exchange for this review.